For some people, a visit to the orthodontists is just a regular part of daily life. Maybe as a child, they got braces and now as a parent, the idea of their children getting braces is just another stage in a child's growth. Not everyone is as familiar with orthodontist appliances as one another. Some people may have been blessed with perfect teeth and jaws. If their child hasn’t been so lucky, however, then they have no experience of their own to draw upon. People who have never been to an orthodontist can easily fall prey to some myths regarding orthodontist appliances. The first myth that people have is that anyone who provides braces or clear aligners for straightening teeth is an orthodontist. That is not true. There are some general dentists and some web-based companies that offer treatments to straighten teeth. To legally be able to call yourself an orthodontist one really has to get that extra training. 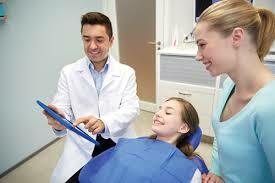 First, a four-year degree has to be completed to become a qualified dentist. Once that achievement has been unlocked a minimum of 2 years of full-time school has to be attended. This extra education focuses on the specialized skills that a person needs to master for the right to call themselves and practice the highly skilled trade of an orthodontist. These orthodontic specialists focus specifically two things: the improvement of the bite and the appearance of a person’s teeth. This is important to know because if the person providing your braces or clear aligners also offers other treatments, for instance, dental fillings or root canals then - buyer beware - you are not being treated by an orthodontist. The second myth is a big one because it can really stop someone from getting the help they need. This is the myth that orthodontic treatment is very expensive. This is simply not true. A variety of cases are treated by orthodontists. These vary in complexity from relatively simple to extremely complex with not all treatments requiring the same financial investment. When you speak to an orthodontic specialist they can provide you with the information regarding the complexity of your specific case and can also explain the variety of treatment options that are available. Before initiating any treatment financial concerns are always discussed with many certified orthodontists providing a variety of payment options, including extended payment plans. This is the myth that braces are for kids and teenagers. That is another falsehood with many adults today having braces fitted. There’s never an age when you can’t see an orthodontic specialist to straighten your teeth and improve that smile. In fact, as stigmas to adults wearing braces has been reduced, there has been a significant increase in the number of adults seeking orthodontic treatment. It is true though, that in many cases treatment for adults can be challenging. Adults that are thinking about orthodontic assistance should seek out certified specialists who have the skills and experience specifically dealing with adult orthodontic care. This is the myth that many parents fall victim too. This concerns the mistaken belief that you can’t take your child to an orthodontist until their baby teeth have fallen out. In fact, it is recommended by the Canadian Association of Orthodontists (CAO) that children should be evaluated by an orthodontist at an early age while many baby teeth are still present. At the ages of 6 to 7, long before a child's baby teeth have fallen out, an orthodontic specialist can evaluate growth, bite, as well as the pattern of tooth eruption. Although most children at this age will not require immediate treatment, it is beneficial for the orthodontist to see a child early in their development to better identify potential problems. It often allows for the opportunity for early corrective treatments. This myth follows the line of logic that if for medical needs you need a referral from your family doctor to see a specialist, then it is only logical that to get braces, you must, therefore, receive a referral from your family dentist before making an appointment with orthodontist”. Although this train of thought makes sense it is in reality quite incorrect. An orthodontist does not require a referral from a general dentist to schedule an appointment on your behalf. Members of the Canadian Association of Orthodontics make every effort to be available to anyone who wishes to discuss treatment options. Members of the public are highly encouraged to contact their offices directly either by telephone or online. If you have any more questions or concerns that you’re eager to have answered, then please feel free to make an appointment with one of Heritage Orthodontists highly skilled specialists. We're always eager to help. The dictionary definition of charcoal is ‘a porous black solid, consisting of an amorphous form of carbon, obtained as a residue when wood, bone, or other organic matter is heated in the absence of air’. Now in recent years, you may have seen people buying charcoal and using it for various different tasks, including for dental applications. Don’t start scooping up your campfire embers just yet. What people have been buying is Activated Charcoal. Activated charcoal is different from regular charcoal because it has been heated or otherwise treated to increase its adsorptive power. And no, that’s not a spelling mistake. Activated charcoal works by utilizing the process of adsorption. Whereas absorption soaks up chemicals by another substance, adsorption happens when elements bind to a surface. 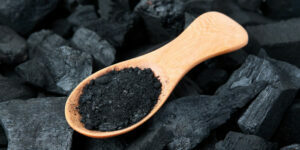 Activated charcoal consists of some carbon-rich substance - usually bamboo, wood, coal, or even coconut shell—burned without oxygen to create char. This char is then further heated to a high temperature whilst being exposed to certain gases through a multi-step process to make it extremely porous. Cutting through the science, the activation process makes it extremely adsorbent. It can even bind to toxins stopping them from being absorbed when ingested and inside the stomach. An early demonstration of this adsorptive property of activated charcoal goes way back to 1813 when the French chemist Michel Bertrand drank 5 grams of arsenic trioxide. He had, however, previously mixed the arsenic with activated charcoal and he survived. Activated charcoal's ability to adsorb toxins makes it useful for a variety of different purposes, including assisting kidney function, water filtration and even as a deodorant. It also can be used for teeth whitening. 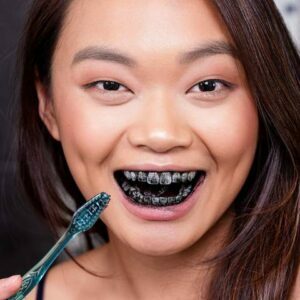 Because of activated charcoal’s adsorbent properties, it pulls toxins from the mouth and removes stains. People who have used it report that their teeth feel extremely clean and smooth afterwards and that after a few uses their teeth are noticeably whiter too. It’s safe to use because the activated charcoal doesn’t bind to the calcium of your teeth. Brushing with this kind of toothpaste can also raise the pH of your mouth. This is because the charcoal binds to acidic elements and increases their rate of excretion from the body. This can help reduce the buildup of acidic plaque and improve your breath if you struggle with halitosis. It is important to note that activated charcoal will only work on surface stains, those that it is able to bind to. Coffee and tea are common examples. It won’t usually work on teeth that have yellowed from antibiotics or other internal problems. Some members of the dental community have expressed concerns that it can be too abrasive on the surface of your teeth, especially if they’re sensitive. Activated Charcoal can come in either powder or in toothpaste form. With either version, it is suggested to do so without or with limited brushing or scrubbing. 2-3 days a week is the most common advised frequency of use in order to avoid any negative side effects. Overuse of charcoal can definitely damage tooth enamel. Whether activated charcoal is just a temporary fad or not, many people who use it report positive results. If you’re interested in using activated charcoal or if you're concerned about the potential negative effects if used excessively, please make an appointment with one of Heritage Orthodontists highly trained specialists to answer all of your dental concerns. In 2017 Invisalign reached a significant milestone when the number of Invisalign patients had surpassed six million, many of them adults. What Is The Reason For Invisalign’s Rise In Popularity? Invisalign moves beyond the need for traditional metal brackets and wires. It enables patients to achieve the smiles they’ve always wanted without having to deal with the problems that braces can cause; the first being the issue of comfort. Many patients enjoy the comfort of Invisalign aligners, which are known to rest on sensitive oral tissues without causing abrasions. The Invisalign system consists of a series of clear aligners, each one custom made with durable plastic and generated by special computers. It is advised that the trays be worn twenty to twenty-two hours a day. That is quite the commitment, however, unlike braces Invisalign trays are removable. This removability of Invisalign Trays also allows patients to continue eating and drinking certain foods without the risk of staining or harming the aligner trays. What a lot of people may not initially realize is that you do not use just one tray. To slowly readjust tooth position a new tray has to be used every few weeks. Each tray is specially designed to incrementally readjust each tooth just a little bit more with each tray. That’s because not all the teeth will have been suffering from the same problem. Each tooth needs to be specifically adjusted, with some even needing to be rotated slightly. On average, a patient's treatment with Invisalign lasts about a year. As such, most patients go through about 20 to 30 Invisalign trays. 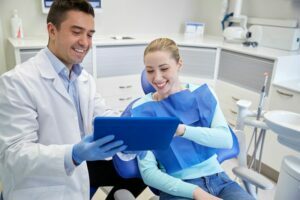 Some patients with more extreme problems may need greater dental adjustment and as such will instead need more trays, sometimes as much as 50 trays over the course of treatment. A second reason for Invisalign’s popularity is because of the near invisible nature of the trays – thus the ‘Invis’ part of Invisalign. The clear aligners are made of flexible plastic — specifically, a patented thermoplastic material called SmartTrack created exclusively for Invisalign treatment. The flexible plastic is highly transparent and allows patients the opportunity to have orthodontic readjustment without having to worry so much about the detriment to their aesthetics. The effectiveness of the trays and their inconspicuous design are important factors, but perhaps the most important is the speed with which they work. While you typically wear braces for 2 years, Invisalign treatment usually only lasts between 9-15 months. After the patient has gone through the course of treatment the patient will usually be needed to be fitted with retainers. This is because the teeth will want to slowly move back into their original position, which would undo all the success the Invisalign trays will have achieved. There are two types of retainers: fixed and removable. 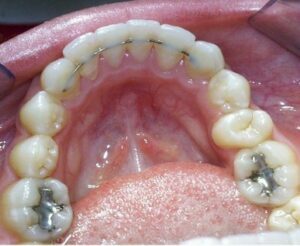 A fixed retainer consists of a thin, metal wire that’s glued to the back of the teeth, on the tongue side. 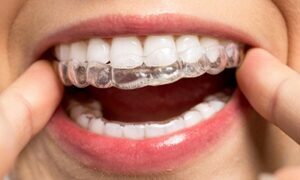 These retainers stay put permanently and offer extra insurance that your teeth won’t move after the course of treatment. Removable retainers come in two forms. The first is the traditional wire retainer. This retainer consists of both a custom plastic piece that sits against the roof of your mouth and a thin, metal wire that wraps around the front of the teeth. The second option is the clear, removable retainers slip over the teeth just like your Invisalign. many Invisalign patients choose this type because it’s what they’re used to and you can barely tell you’re wearing it. They’re equally as comfortable as aligners and made from a durable material. With both post-treatment retainers, it is essential that you keep them clean. For a fixed retainer the patient must brush around the wire really well at least twice a day and continue to floss once daily. For a removable retainer every so often, give it a deeper clean by soaking it in a retainer-cleaning solution. Additionally, the patient must always take removable retainers out whenever eating and drinking anything aside from plain water. Hot foods or beverages can warp the retainer and snacks and drinks will stain it or, worse, cause damage. 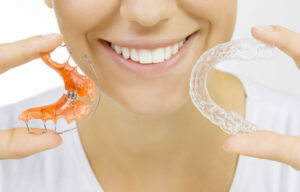 If you’d like to know more about whether Invisalign is the right option for you. Please feel free to contact Heritage Orthodontics. With offices in Mississauga and Georgetown, we’re here to help answer your questions and help you get the teeth you’ve always wanted. Are You Considering Orthodontic Work? It’s a big commitment deciding to choose to fix misaligned teeth. It doesn’t matter whether you’re in your teens or later in life. The stigma of getting fitted with orthodontic appliances has changed massively in the last few decades. How they affect your levels of attraction are still, of course, going to be a concern. Additionally fitted braces will also limit what types of food you can eat, and that is never fun. In the long term, however, it’s always better to fix any dental problems early on, before they become serious problems that take much longer to fix. If you make an appointment to either of Heritage Orthodontics’ Georgetown or Mississauga clinics, our specialists will be able to advise you on which specific orthodontic appliance is right for you. Maybe you need fitted braces or maybe Invisalign will be the better choice. Heritage Orthodontics’ very own Dr. Selnes has been a top 1% Invisalign provider since 2008. One of the major benefits of Invisalign is that, if it’s the appropriate choice for you, it has a proven track of being a faster treatment option. And getting your teeth perfectly fixed in the fastest time possible is what Heritage Orthodontics cares most about. That's because we know that's what you care about, as well. One of the best ways to speed up the process of tooth movement is to use AcceleDent. First, it may be useful to have a basic understanding of how orthodontics guide tooth movement. Teeth move through a process called bone remodeling. By applying force to teeth, bone cells become mobilized around the root of the tooth. This cellular response causes changes in the bone surrounding the tooth. That is what we refer to as bone remodeling. AcceleDent has been designed with this bone cell activation in mind. It’s patented SoftPulseTechnology applies precisely calibrated vibrations called micropulses. 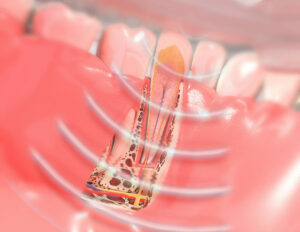 These micropulses are transmitted through the roots of your teeth to the surrounding bone. The cellular activity is increased by these gentle vibrations, which in turn speeds up the rate in which your teeth can move. 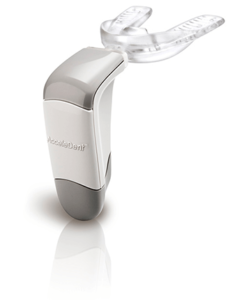 AcceleDent is an FDA-cleared medical device, clinically proven to move teeth up to 50% faster! It’s an adjunctive therapy that’s been designed to combine with your regular orthodontic treatment. These include metal braces, clear braces, as well as Invisalign. AcceleDent’s micropulses are safe and gentle, and exert less force than when you are brushing your teeth! In fact, the micropulses exert up to 8x less force than a power toothbrush and 200x less force than ordinary chewing. Not only does Acceledent increase tooth movement speed, but many of our patients at Heritage Orthodontics have said that they felt less tooth pain when they used AcceleDent. In fact, clinical trials have shown that the pain and discomfort associated with braces and aligners can be reduced by up to 71%. There are a lot of advantages to AcceleDent. It is portable and hands-free and you only have to use it 20 minutes per day! That's not a lot when you think of the speed it will give to achieving the results you want. If you’re someone who wants to look in the mirror and see those freshly fixed teeth as soon as possible, then AcceleDent is definitely something to consider. If you want to know more, then please arrange an appointment at Heritage Orthodontics and be sure to ask about AcceleDent.